Unbiased top 10 web hosting reviews. Compare the top 10 web hosting companies. No web hosting company is perfect, but you should always get the best value for your money. You should be able to live with the company for the long term at the price you’re willing to pay. If your current web hosting service is not meeting your needs, 2018 is a great time to switch to a different provider. Before you sign up for anything, make sure to do your homework. How to identify the best hosting company of going forward? Always look at price, uptime, reliability, features and customer support—these should be great if not excellent. I can’t tell you how many times I’ve called customer service only to wait 30 min. This is not acceptable! Businesses that invest in a great hosting service usually see a boost in customer spending and retention. But this doesn’t always mean that the most expensive service is the best option. Consider the type of website you’re running. Is it a personal blog or a large e-commerce website? For about $1-2 a month, you can effectively host a blog or small business website. If you need all the bells and whistles, however, it’s worth paying $5 or more for a solid hosting company. 99 percent uptime may seem high to you, but it actually means 7 hours of downtime per month. Sign up for a service that guarantees at least 99.5 percent uptime and comes with a refund guarantee if the uptime drops below what is stated in the contract. Also read the fine print on data transfer and bandwidth use—your hosting company’s definition of “unlimited” may be different from yours. At the very least, your hosting service should support all common scripts that let you customize your website. If you have an e-commerce site, SSL (secure socket layers) and shopping cart features are crucial. While traditional shared hosting services provide these features, you’ll see virtual private servers offering them in 2018 as cloud services become mainstream. The beauty of cloud hosting is having a central location for all of your data and getting rid of the need to sign up for multiple hosting accounts. Hosting services are also jumping on the green bandwagon, as customers look for companies with tiny carbon footprints or those who derive power from green sources. The website ranks Yahoo!’s web hosting service as number 1. The name is the big draw for customers, but Yahoo!’s hosting service is surprisingly decent. It’s one of the cheapest hosting services in the market—for $2.62, you get free setup, free domain, 100GB disk space and 24/7 technical support. It also comes with a 30-day money back guarantee. InMotion Hosting must be doing something right for all the awards it’s been getting (3-Star CNET Certification and an A+ rating from the Better Business Bureau among them). The price is a jump from Yahoo! at $5.95, but you get unlimited disk space, free domain and setup, Google and Yahoo! credits, 90-day money back guarantee and U.S.-based 24/7 tech support. BlueHost has been around since 1996, and it’s one of the best-rated hosting companies available. BlueHost has only one plan, which can be a pro or con depending on your needs. For $6.95, you get free domain and setup, unlimited disk space and bandwidth and search engine credits. But the best part is their “anytime” money-back guarantee. 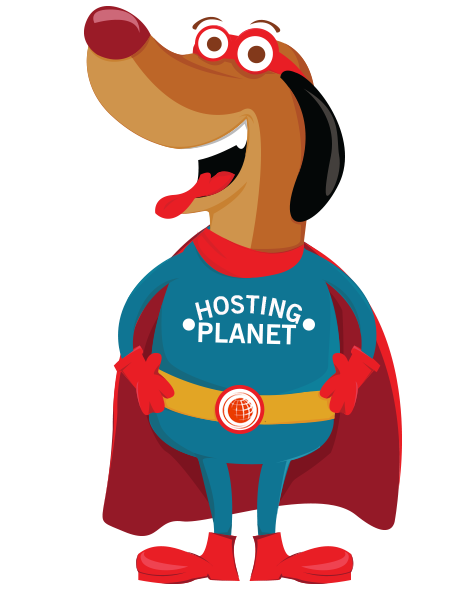 HostMonster is another established hosting provider. For the same price ($6.95) as BlueHost, you get unlimited disk space and bandwidth, free setup and domains, Google credits and award-winning tech support. Great for nonprofits and small businesses. JaguarPC gets the highest ratings for pricing, which is a competitive $4.95 per month. The company offers free setup and domain, unlimited disk space and a 45-day money back guarantee. Is Computer Addiction Affecting Your Life? Computers and Internet access are cheaper than every before, and that means more and more people can afford to have both in their homes. Computers are great when you work from home, and in fact, you may not be able to do so without one. Not everyone who has a computer needs it for work at home though, and most use it for other things. Many spend hour after hour online, and this can cause a problem with the dynamic of any family. Computer addiction is a very real thing, and it has caused problems in even the strongest of families and relationships. Computer addiction is something most scoff at, but it can be a very real thing. Some come home from work and barely glance in the direction of their spouse before they log on and check their email. This is something that starts small and can end with one spouse spending all of their free time in front of their computer screen. As you can imagine, this type of computer addiction will leave the other spouse feeling neglected, and may lead to divorce if something does not change. Adults are not the only ones who can fall into a computer addiction. There are many teens who spend more and more of their time online rather than hanging out with friends, playing sports, and interacting with their families. Some of them play games, but many more of them have a addiction to computer instant messaging, message boards, and sites like MySpace. Not only are they not interacting with real people in real life, they are neglecting homework and forgetting what it is like to be sociable with others that they meet face to face. If you are spending more time looking at your computer screen than sitting on the couch watching a movie with your spouse or your entire family, you may want to consider that you have a computer addiction. Try coming home from work one day without touching your computer to see how it makes you feel. If you find that you cant stay away from it, cant stop thinking about it, or become agitated as if you are missing a huge part of your life, you may want to consider that you have a computer addiction. This is when you might want to take some time to think about what really means the most to you, and then make the changes you need to make. You dont have to give up surfing online or playing games, but there is always something to be said about moderation and harmony in the home. Web sites should always be designed with your target audience in mind, not your own personal preferences. Colours have meaning. Professional designers understand the psychology of colour and the use of white space to best project the image your audience wishes to see. (For example, try not to use the colour red on a financial site.) Understanding the products/services/information your target audience is searching for is paramount to designing and maintaining an effective web site. When you launch a site, you might have to make an educated guess as to what your target audience wants. After that, tools such as site statistics software and reporting from site searches tell you exactly what your visitors are looking for. Then content and marketing strategies can be adjusted accordingly. Unless the advanced technology clearly benefits end users, do not use it on your site. If your venture capitalists or CEO’s or lawyers like the site, ask if they are going to spend the thousands or millions of pounds to keep you in business. Let me know your thoughts! Please leave comments in the WebHostingReviewPlanet comment section below. According to Bureau of Labor Statistics, computer engineers will be one of the fastest growing occupations over next 7 years. To help meet this demand, students seeking Computer Careers will need at least a bachelor’s degree in computer engineering or computer science. If you’re interested in taking advantage of this projected boom, you will need to pursue a Career in IT. You can either earn your degree from Online Computer Schools, or campus based Computer Training. Unless you’re selling a big-ticket item and making $200 or more per sale, it’s extremely difficult to make any real money with only a one percent conversion ratio. Of course, there are exceptions to every rule, and if your website is attracting hundreds or even thousands of visitors a day, then obviously you can do quite well with a one percent or lower conversion ratio. But what if you don’t have that kind of traffic – and most websites don’t. Then what? What if you’re selling a $20 e-book and you’re only attracting a hundred visitors a day to your website? With a one percent conversion ratio, that means your website is making a measly $20 a day. And believe me, that am much more common than you realize. However, what if you could improve your conversion ratio to 3 percent, 5 percent, All of a sudden; you’re making £60 to £100 a day with the same amount of traffic. Improve your conversion ratio to ten percent and viola, that $100 a day turns into $200 a day! 1. Make sure your visitors know what you do, the instant they land on your website. Don’t make them have to guess. Tell them right up front with a benefits-laden headline. 2. Make sure the design of your website is up to par, Make it easy to navigate. Get rid of distracting flash or stupid, meaningless graphics that are a waste of everybody’s time and take forever to load, Simplify your website. Get rid of the flash, graphics and pop-ups! 3. Use psychologically effective colours. The colour blue suggests quality, trustworthiness, success, seriousness, calmness – the perfect choice for sales pages. Avoid purple, which connotes uncertainty and ambiguity, and only use yellow to highlight key words and phrases. In addition, try to have as much white space as possible. This makes for a much cleaner looking, easier to read website. 4. Get your own domain name. URL’s that contain names like, “Geocities”, “Angelfire” or “Tripod” have amateur written all over them. 7. Use authentic customer testimonials, complete with first and last names. Just make sure you get your customers permission first. 8. Offer a fair and reasonable money-back guarantee. Thirty days is good. Sixty or ninety days are better! 9. Make it easy for your customers to pay. And offer a variety of payment options. I can assure you, if you’re using PayPal only, you’re losing sales. There are a lot of people out there, I included, and that just won’t do business with PayPal. It’s too much of a hassle! If you aren’t capable of writing that type of sales letter yourself, hire a copywriting expert to write it for you. For most people, buying a new computer does not have to be as stressful as buying a new car. Nor does it have to be as expensive. If youre like most people, and you have a limited budget for buying a computer, then you need to try to get as much computer for your money as possible. Sounds pretty obvious. But many people dont realize they dont need the fastest, most expensive computer with the most extras. In fact, if you are already using an older computer, even the least expensive new computer will be a big upgrade. If you dont know a lot about computers, you can learn a lot by shopping around. Ask lots of questions, compare prices, compare features, then find the best price. Shop at your local electronics store, and look for the best deals online. Youll be surprised at how much money you can save by shopping around! Many computers you will find in a store have a lot of extra software already installed. While this is convenient, it is not always the best way for you to save money. Also, while many of these extras sound good, you dont always need them. You can often find better deals by shopping around separately for your own software extras (such as a word processor, anti-virus, popup blocker, spyware removal, games, etc). And some of these you can get for free. So before you buy the fully loaded computer, ask yourself if you really need all the extras, then shop around to see if you can buy a scaled down computer – and get the extras yourself for much less! If you are not a computer techie, the extended warranties offered by the computer retailers often sound like a good idea. After all, who wants to be bothered paying for service on a computer after you buy it. But keep in mind that most computers come with a warranty, and most computer problems will either happen at the beginning (when you still have the warranty in effect) or much later (when it might be cheaper to buy a new computer). Technology changes very quickly these days. So consider whether or not its worth the inflated price of the extended warranty. And, if you really feel you need the extended warranty, then ask to purchase it at a lower price. Not all retailers will negotiate on the warranty, but some will. And whether you buy the extended warranty or not, make sure you back up all your files periodically, just in case!